How Much Have We Wasted? Ever wonder how much we have wasted? 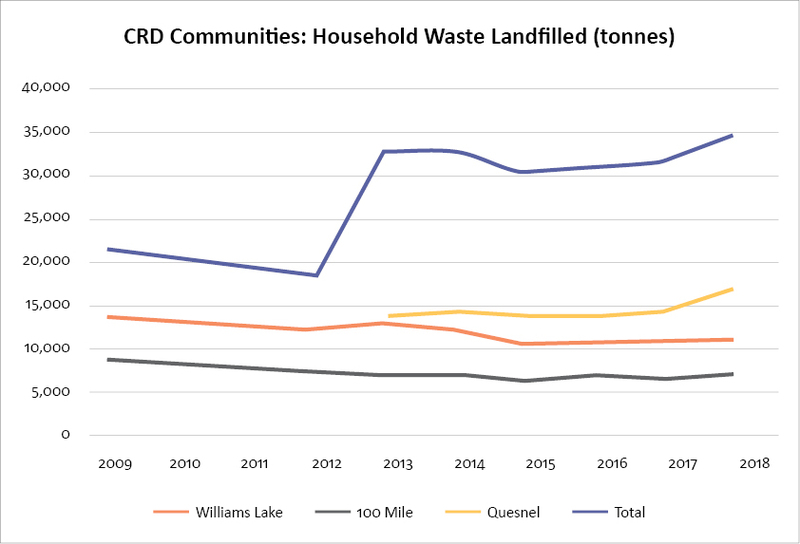 Since 2013, Cariboo Regional District residents have sent 267,000 tonnes of waste to the three regional landfill sites and, unfortunately, the amount of waste generated in the Cariboo region is going up. In fact, the amount we waste significantly started to increase in 2018, which is not good news. Based on the region’s total population and the waste data available, each CRD resident generated 703 kilograms of waste in 2017. That’s 703 kg for every baby, child, adult, and senior citizen in the region. For a household of four that equates to 2.8 tonnes! 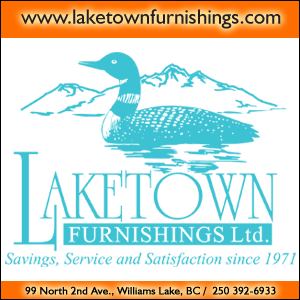 The Cariboo Regional District is a large area, over 80,000 square kilometres, with more than 30 different refuse sites spread across it. There is a fully engineered landfill located at Gibraltar mine, 15 other non-engineered landfills, and 18 transfer stations. The total amount of waste landfilled each year, including demolition and construction waste, can change depending on the economy and building development. 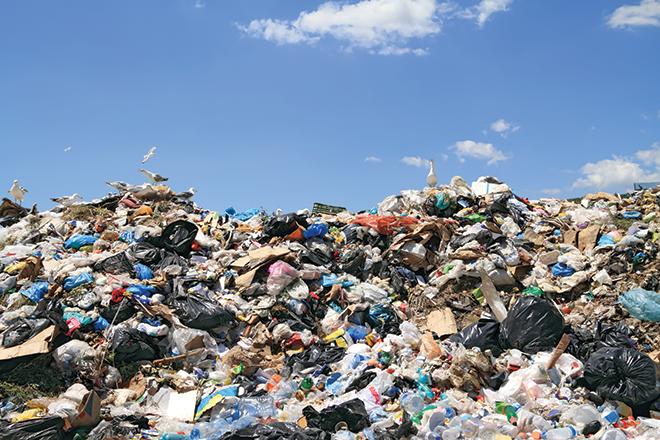 While new building development in 2018 has contributed to the spike in waste, “household waste” generated by residents, restaurants, grocery stores, and other businesses made a noticeable increase in 2018. Previously, household waste numbers had been going down since 2013. 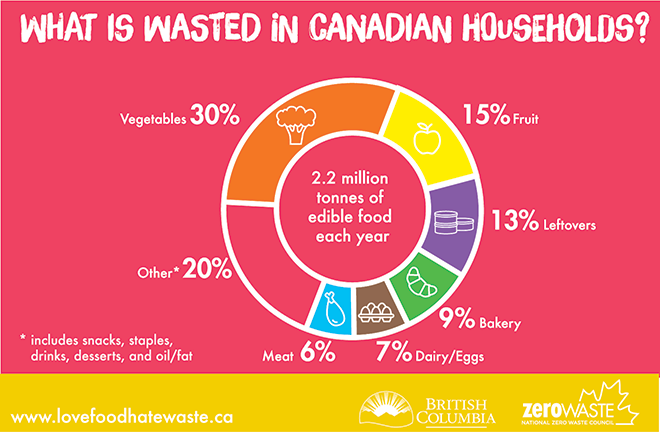 The graph below illustrates the amount of household waste landfilled at the 100 Mile House, Gibraltar (Williams Lake), and Quesnel landfills and the total from all three. The Quesnel landfill had a scale installed mid-2012, so only has accurate data since 2013, which is why the total line spikes up in 2013. The CRD’s current Solid Waste Management Plan aims at reducing the amount of waste going to landfills. 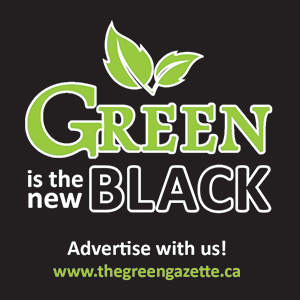 But if the current programs and policies are not achieving this goal, alternative methods will have to be considered—including a “user pay” system in which residents are charged for all waste destined for the landfill. Each person can make a difference in the amount and types of waste the Region must manage. 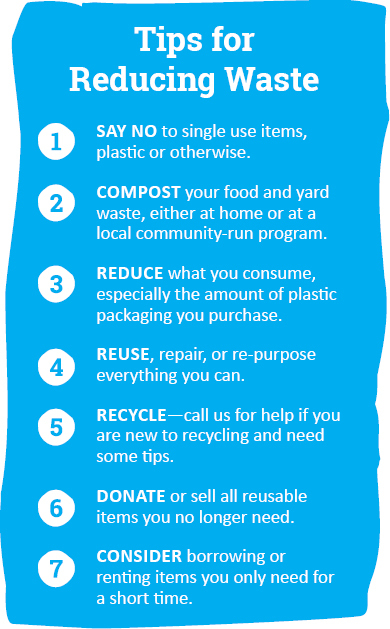 Please take responsibility for the waste you and your family generate by following the tips below. 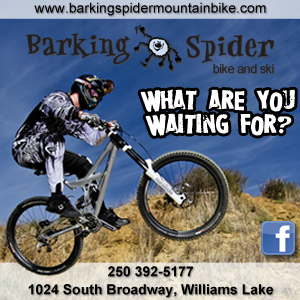 Learn more by following us on Facebook at facebook.com/caribooregion, or visit us online at cariboord.ca. 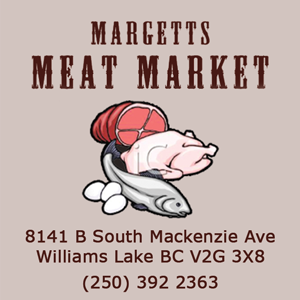 For more information on the Waste Wise Program, call (250) 398-7929. You can also find more details on Waste Wise activities and events at ccconserv.org.